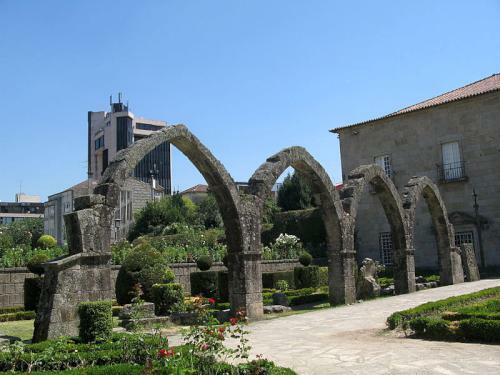 Thanks to its compact nature, Braga, Portugal, is the perfect city for exploring on foot. At every turn, the visitor will delight in its history, distinctive architecture and attractive landscaped gardens. The plethora of greenery dotted in and about the city makes it a particularly interesting location to visit in spring and early summer when the flowers and plants are in full bloom. 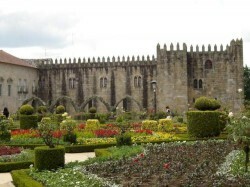 The Santa Barbara Garden is a must-see attraction for any visitor to Portugal’s historic city of Braga. 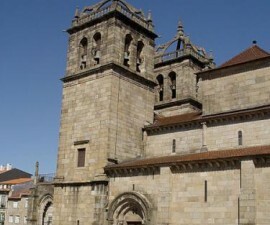 Located within easy reach of the main square, the cathedral, and other Braga attractions, one can easily find it next to the former palace of the Archbishop. Built in a fortress-like style, the palace began being erected in the 14th century, undergoing several extensions and renovations subsequently, most notably in the 17th century. 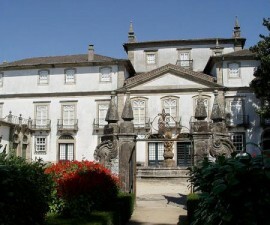 The palace has since been bought by the state and fully renovated, and is now the site of Braga’s municipal library. Whilst the library merits a visit in its own right, for anyone with an interest in horticulture, it is possibly the Santa Barbara Garden, which is located along the palace’s east wing, that is most likely to catch the eye. The Santa Barbara Garden is open to the public all year round and is the perfect place to escape from the hustle and bustle of the city crowds, to immerse yourself in the lush greenery of some of Portugal’s native floral species. It was originally established to enhance the exterior of the palace back in the 17th century and to this day it sets the ancient palace walls off to perfection, framing it in greenery and, on sunny days, the blue skies of the western Iberian Peninsula. Today’s garden is, however, a modern interpretation of the original space, having been completely re-landscaped in 1955 in keeping with the romantic style of its original period. Plaques on the site identify Jose Cardoso da Silva as the designer and landscaper. 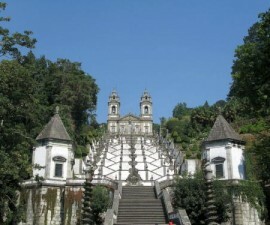 Placed on an elevation, part of the gardens consist of a series of geometric designs carved out of beds of boxwood and decorated with cedar topiaries, while other sections are more manicured, designed to set off the remains of cornices, statues and coats of arms carved out of the native rock. Right at the centre of the garden is an impressive fountain formed into a statue of Saint Barbara, the patron saint of the garden and namesake of this delightful outdoor space. 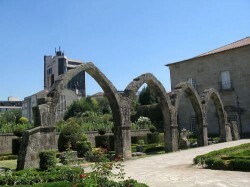 The gardens are not particularly large and can be visited en route between other attractions that lie within the compact centre of Portugal’s oldest city, or visited in their own right for their historical and botanical interest. The plants, blooms and landscaping are well tended and always found in immaculate condition, making the Santa Barbara Garden a veritable feast for the senses.